Submissions are currently open for our Summer 2019 issue, and will close on June 15. We accept submissions in the categories of Poetry, Prose, Translation, and Mixed Media. These categories are not intended as prescriptive, and will not be used to organize published works; rather, they are intended to facilitate submission and evaluation processes. We encourage submissions by artists working at the intersection of multiple genres and welcome intergenre or multi-genre submissions. We do not charge a submission fee. 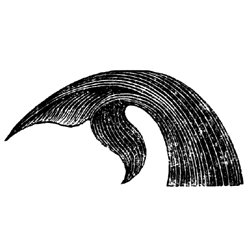 We will accept submissions for our summer issue (published in July) from February 15 – June 15. We will accept submissions for our winter issue (published in January) from August 15 – December 15. Submissions received outside these reading periods will not be considered. Please read submission guidelines thoroughly before submitting! Email all submissions to bombcycloneliterary at gmail dot com with “Your Name, Genre Submission” in the subject line. If your work doesn’t fit easily into any of the aforementioned categories, or if your submission includes work in multiple genres, feel free to omit the genre category in your email or list multiple genres. Please limit mixed-genre submissions to 5 works. Include a brief cover letter and artist bio (no more than 50 words) in the body of your email. We only consider previously unpublished work. With the exception of mixed media submissions, works exhibited on personal blogs or social media are considered previously published, and therefore not eligible for consideration. We encourage simultaneous submissions, but please let us know immediately if you need to withdraw any pieces that have been accepted elsewhere. To withdraw your work, simply reply to your original submission email stating which pieces are to be withdrawn. Due to the volume of submissions we receive in our open reading period and time constraints on our volunteer staff, only those accepted for publication will receive email notification of the status of their submission. Please wait at least two weeks after the submission deadline before sending inquiries. We invite you to send us high-risk poems that disrupt and disturb generic or political borders. Poems that challenge us to move beyond sustainability politics in decolonizing our relationships to land, water, and bodies. Cornered and crowded poems, unapologetic in their vulnerability and strength. Poems that challenge performed authenticity. Poems that thrive at language’s margins, sustaining an arc beyond the traditional limits of syntax and imagery. Please submit 3-5 poems not exceeding 10 total pages. Include your name and contact information in the header on every page. Acceptable file types are .docx and .pdf. For prose, we seek concise, evocative narratives. In addition to short fiction, vignettes, lyric essays, and standalone memoir excerpts are all welcome. We prioritize reflexive storytelling; send us narratives that center marginalized communities while reckoning with a storyteller’s gaze, narratives that engage rather than examine. Please submit no more than 6,000 words, double-spaced. Include your name and contact information as well as a page number in the header on every page. Acceptable file types are .docx and .pdf. Bomb Cyclone welcomes works in translation that extend our understanding of ecopoetics beyond the scope of pieces originally composed in English. Translations from source languages that are seldom translated into English are especially welcome. Poetry: Please submit 3-5 poems not exceeding 10 pages. Prose: Please submit a piece (or pieces of) no more than 6,000 words total, double-spaced. For all translations, please include the: title, author’s name, and translator’s name in the header on every page. Along with your translation, please include a copy of the original text. Acceptable file types are .docx and .pdf. In your cover letter, we encourage you to contextualize your translation in relation to its source text, including where it was published in its original language, as well as any additional information that may be relevant to its audience. We invite you to submit works reflecting upon connections between individual experience and changes in our sociopolitical climate. We are especially interested in: illustration and comics; textile, collage, and craft arts; digital media and glitch aesthetics; audio and video art; projects composing between or across disciplines and mediums. For visual art, please submit color images of your work (up to 6 per submission cycle). These should be in .png format and at least 300 DPI. If your work includes motion graphics, please submit either a .mp4 or .mov file (under 50MB) via Google Drive; you may also choose to send an embeddable link to work hosted on Vimeo. For audio submissions, please submit work in .mp3 format (up to 6 per submission cycle). Your composition’s runtime should be longer than 1 minute and no longer than 10 minutes. For all mixed media submissions, title attachments “Your Name_Work Title.” In your cover letter, please include the title, medium/instrument, and year made for each submitted work. We cannot consider work previously featured in online publications; however, artworks showcased on personal websites and/or social media will not be considered previously published for mixed media submissions only. We ask for first American publication rights including electronic rights; this means that Bomb Cyclone will have exclusive rights to exhibit accepted work online. Upon publication, all rights revert to the creator. 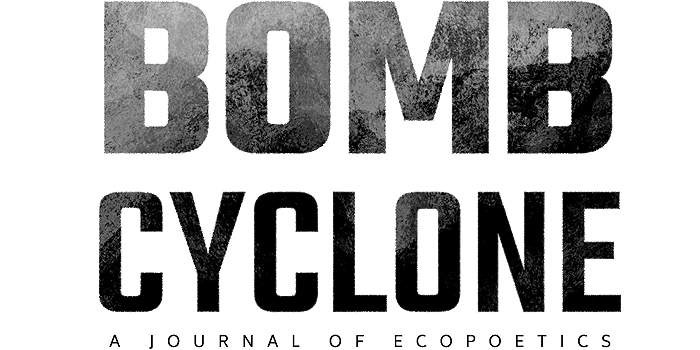 Any future online or print publications should acknowledge that the work was previously published in Bomb Cyclone.